In 1888 a group of sugar millers set up a distillery in the town of Bundaberg, Queensland, to distil rum from their local sugar cane. And by the turn of the century Bundaberg was already a national treasure: vats of Bundy were shipped to troops serving overseas from as early as 1899. Fire wiped out Bundaberg’s Distillery not once but twice – once in 1907, and once after a lightning strike in 1936. Both times, however, the distillery was up and running to see Australian soldiers through two world wars. 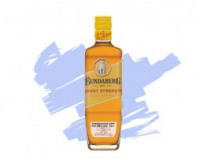 Bundaberg’s distinctive square bottle, yellow label and polar bear logo arrived in 1961. Bundy Bear was originally designed as a message to drinkers in the cooler southern states that Bundaberg could ward off any winter chill. Today he has evolved into the ultimate party animal, dousing drinkers with water, teaching rugby teams French and showcasing the Aussie way to enjoy rum.